Below is model that I built in 1998. 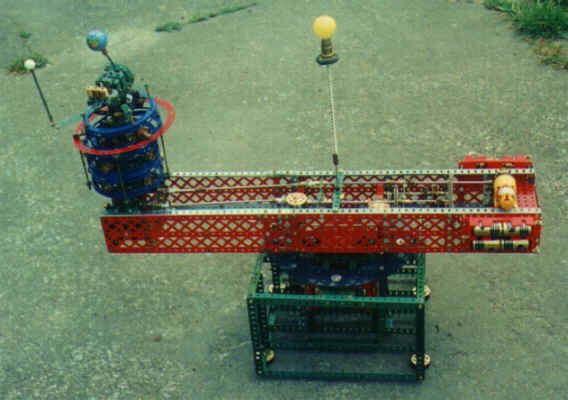 It is based upon a plan published in the April 1973 Meccano Magazine. If you have keen eyes you may spot a design flaw in it. It did not become apparent to me until I built it! 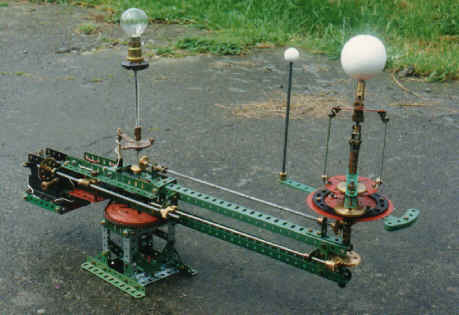 Below is my very first attempt at building an orrery. It was based on a "Model of the Month" featured in the June 1957 Meccano Magazine. I has a very simple but effective gearing system. Further models that I will build, I will base it upon this design. It does not require the powerful but noisy ER15 electric motor! Finally here is a photograph of Modelplan 59 by Alan Partridge. A wonderfully accurate and complex model. 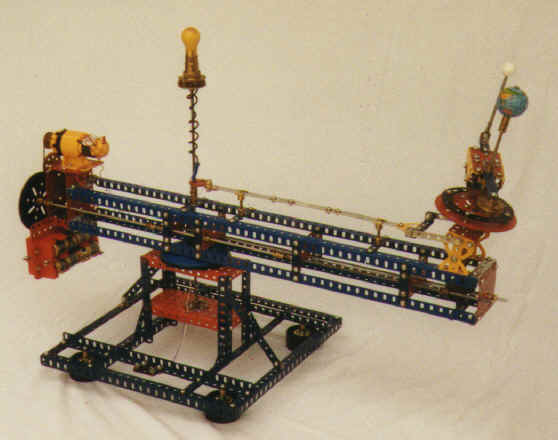 For more detailed photographs and an explanation of the mechanism and operation of the orrery above go to the next page.